Board members of Maryland's second-largest school district have signed a letter calling for investigation into alleged "widespread systemic corruption'' that fraudulently boosted graduation rates since 2014. Local news outlets report four of Prince George's County's 14 school board members allege whistleblowers have evidence about changed grades and credits to students for courses not taken. School district officials said Monday afternoon that a state investigation of the system's graduation-rate several months ago found nothing improper. It came at the federal education department's request following an anonymous complaint received last summer. A Gov. Larry Hogan spokeswoman says the allegations were forwarded to Maryland's education department. 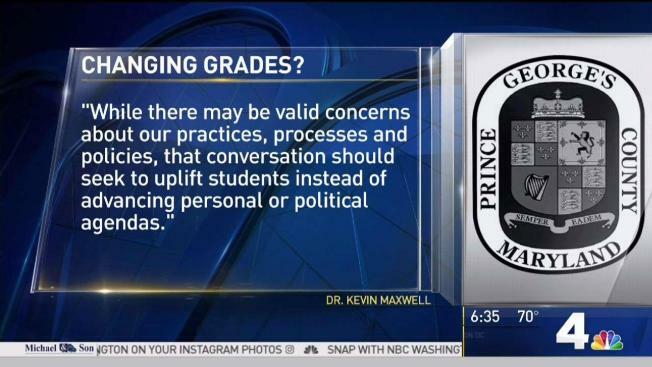 A statement from Prince George's schools CEO Kevin Maxwell called the letter "politically-motivated'' and denied any effort to graduate students who didn't meet state requirements.